Book publishing is a business. Whether you're an author or a publisher, book publishing rights and other intellectual property rights (such as film rights or translation rights) and book royalties are considerations when you're determining the profitability of publishing—or self-publishing—a book. For an overview of how traditional publishing rights work, read this general article on book advances and book royalties. And for some self-publishing rights information, the following are some common questions from readers about self-publishing fees, different book rights and book royalties that authors have to consider when making the decision to publish or with whom to publish. Keep in mind that this is general advice, not official legal or contractual advice, which would best be handled by a lawyer or agent. A Publisher Suggests I Invest Money to Publish My Own Book With Them. They Say Published Books Rarely Yield a Profit. Is It True? The email you received was likely from a self-publishing service or a subsidy publisher, not a traditional publishing house. Though profits aren't guaranteed, traditional book publishers are in business to make money off your book publishing rights. Self-publishing services make their money off of you paying them to print your book. Here's a helpful article on the distinction between self-publishing services and traditional publishers, which includes some publishing rights contract clauses to know. As a general rule, the average self-published book sells an estimated 150 copies (mostly to friends and relatives of the author). Of course, if you have an author platform or are great at generating publicity and creating marketing opportunities, you may be able to sell many more. Or, if you wrote the book for your own pleasure or as a family keepsake, you may not care how many copies you sell. Therefore, when you look at how much money the self-publishing service will charge to publish your book, the cost versus benefit is something you need to think about carefully. The article on the various reasons why people self-publish might help you to establish whether self-publishing is right for you. How Much Does It Cost to Self-Publish? The initial cost to self-publish a book can be zero for self-publishing electronically with services like Barnes & Noble's NOOK Press or using a print-on-demand book service. Or it could cost tens of thousands of dollars if you want lots of physical books with all the "extras" like book marketing and publicity). Review carefully what your self-publishing service offers and make sure you understand your contract. This will tell you what rights you're keeping and what rights your self-publishing service might be retaining. If you're paying to publish your book, your contract will also stipulate what you're getting for your fees. Again, to avoid being disappointed, be sure you understand what you're getting before you sign. The Maximum Amount of Books You Anticipate Being Sold Is in the Thousands. What Happens If the Book Is a Bestseller, and Sells Millions—Twenty Million, Thirty Million? Seriously, again, most self-published books do not sell in the millions or hundreds of thousands—or even tens of thousands—of copies. Still, if you have a solid media platform and truly expect to sell more copies of your book than the maximum stated in your contract, you may be able to negotiate with your publisher to add a higher "bucket" (for example 25,000+ copies), with a more favorable royalty percentage, to the royalty schedule. An Author May Get Regular Sales Reports for Their Book. Does It Mean That the Author Has to Believe the Publisher? Is There Any Way the Author Can Audit the Sales of Their Book? Book sales and royalty statements are generated on a regular basis from the publisher, and (if you're lucky) are accompanied by a royalty check. This is standard industry practice, and authors and agents generally rely on the information that is provided to them. If you are dealing with a reputable book publisher or self-publishing service, you should be able to trust the book sales figures they give you. You should review your statements carefully—and you should be able to get an explanation for any of the figures you don't understand. The Publishing Company Says They Can Sell the Rights to My Book to Film Companies. Shouldn't That Be up to the Author? 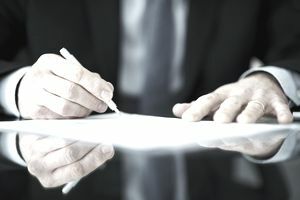 Regarding film rights to your book (or translation rights, or any other rights), with a traditional publisher, your agent would negotiate these rights up front and the details would be covered in your book contract. If you feel you could do a better job of finding rights buyers, your agent might be able to negotiate for you letting you keep the rights. Whoever your book publisher—whether a traditional publisher or a self-publishing service—the book contract you sign with them should cover the amount of the book rights sale proceeds that you, the author, would be entitled to if the publisher is successful in selling the film, translation or any other rights. And whatever type of publisher you publish your book with, you need to read and understand your contract very carefully before you sign—if you don't have a literary agent to represent you, get a lawyer to look at the contract if you have questions about anything (and don't forget to add the legal costs to the cost of your self-publishing venture!). What are the Subsidiary Rights Available to Authors? What Is Copyright and Why Is It Important to Authors? Do You Need a Book Agent to Get Your Book Published? What's in a Book Contract?